Niche at The Siam Kempinski has always been one of my best destination for food, and drinks. However my favourite chef left the place for The House on Sathorn at W Bangkok, so many of dishes changed, and I never been back there since then. But finally I got a chance to be at Niche again with group of great new friends who are fan of Mercedes Benz automobiles. I found that Niche changed the whole menu, and I was also been told that they will change it again in few days. Whatever it is, Niche now serves basic Thai food and Simple food that can be found in every place, but they added final touch into details to those dishes. 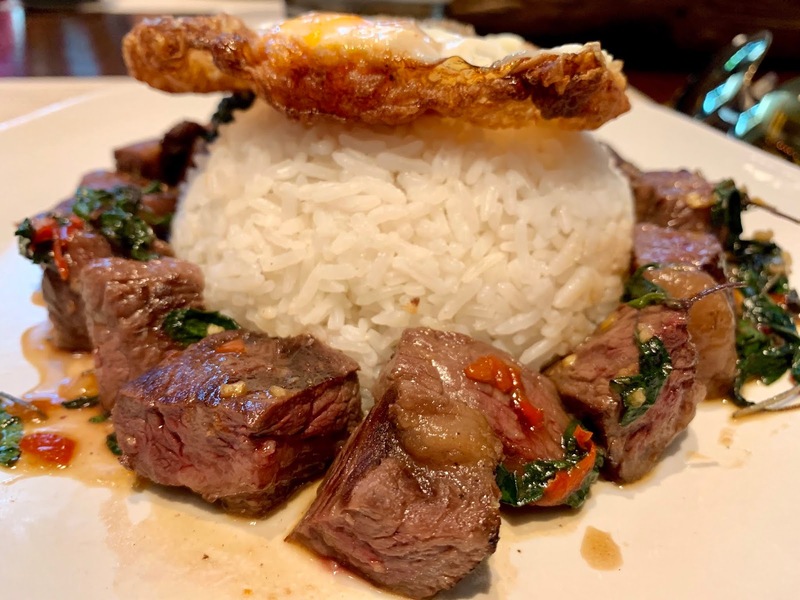 Such as Rice topped with stir-fried Wagyu Beef and basil with deep fried egg, as the name stated, it came with nice tender Wagyu beef that melted in my mouth. Other dishes looked good, but I haven't tried it because each portion was very big and filled up my stomach before I could order more. Anyway, if you would like to try these delicious dishes, Niche can be reached at +66 (0) 2 162 9000 at The Siam Kempinski Hotel.